Israel was to inaugurate a new international airport Monday in its desert south meant to boost tourism to the nearby Red Sea and serve as an emergency alternative to Tel Aviv’s Ben-Gurion airport. The official ceremony was scheduled to begin at 11:30 am (0930 GMT) with Prime Minister Benjamin Netanyahu in attendance. Initially, Ramon Airport will handle only domestic flights, operated by Israeli carriers Arkia and Israir. A date has not yet been given for the start of international flights. The new airport, named after Ilan Ramon, Israel’s first astronaut who died in the crash of the space shuttle Columbia, will in future host jumbo jets from around the globe. Its website says that it will be able to initially handle up to two million passengers annually, but will be able to expand to a capacity of 4.2 million by 2030. It says that it has a 3,600-metre-long runway and apron parking space for nine “large and wide-body aircraft”. It also has freight-handling facilities. Ramon is about 18 kilometres (11 miles) from the Israeli Red Sea resort of Eilat and the adjacent Jordanian port of Aqaba. Low-cost and charter airlines currently flying to Ovda airport, about 60 kilometres from Eilat, will move to Ramon, its website says. They include Ryanair, Wizz Air, EasyJet, SAS, Finnair and Ural Airlines. It will also replace Eilat’s small municipal airfield, where for decades arriving aircraft have swooped past hotel towers. Construction costs for the new airport have been put at 1.7 billion shekels ($455 million, 395 million euros). Work began in 2013 but original specifications for the project were revised to allow for upgrades. The Israel Airports Authority (IAA) has said that the plans for the Ramon project were revised in light of lessons learned during the 2014 Gaza war. “In an emergency, not only will Israel’s entire passenger air fleet be able to land and park there, but also additional aircraft,” the IAA says. After a rocket fired by Hamas militants in Gaza hit near the perimeter of Ben Gurion airport in 2014, international carriers suspended flights. Israeli media have said that a 26-metre (85 foot) high, 4.5-kilometre (2.8 mile) long “smart” anti-missile fence has been installed to help protect Ramon, which is adjacent to the border with Jordan. The IAA refused to comment on those reports. Tourism brings in significant revenue for Israel, accounting for $5.8 billion in 2017, the last full year for which figures are available. 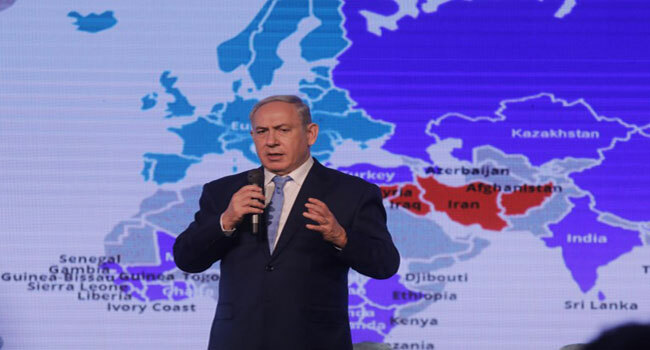 Arrivals to the country of more than eight million citizens hit a record 3.6 million last year, the Israeli tourism ministry said. The United States, Russia, France, Germany and Britain accounted for most of the visitors.